If you are a resident of Massachusetts and have been seriously injured or have suffered the loss of a family member killed by wrongdoing or negligence, you should be aware of the importance of hiring an experienced personal injury lawyer. Far too much is at stake to engage in self-representation in these types of cases. Regardless of the type of accident, injuries due to someone else’s negligence can result in pain and expense that lasts for years. Medical expenses can quickly add up, and the injured party can become overwhelmed by the associated stress. Oftentimes, the injured party must take time off from work, be faced with copious forms to fill out, and is bombarded with confusing calls from insurance adjusters who do not have the best interests of the injured party at heart, and who are known, in some cases, to harass and use intimidation techniques with those who are suffering losses and injuries. Recovering the compensation that is due to victims of serious injuries or the loss of a loved one can be an arduous task. Only an experienced personal injury lawyer can fully understand the complicated nuances associated with negligence, product liability or medical malpractice and attain the desired results of getting his or her clients the compensation they deserve. It is the job of your attorney to act as a shield between you and the insurance companies. Your attorney is trained in gathering all required evidence that can prove the extent of your damages. Your attorney knows how to negotiate these types of cases and to work on your behalf to maximize compensation and to take cases to trial when necessary. If you’ve been injured and seek the assistance from an experienced personal injury attorney in the Medway, MA area, we invite you to call our office and schedule a free consultation to learn the facts and your options. 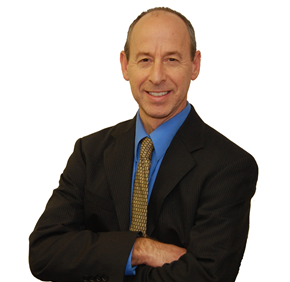 Attorney Houde is a top rated personal injury lawyer serving the Greater Boston region. With law offices in Medway, Attelboro, Needham, and Wellesley, Massachusetts, he will travel to meet clients at their home, hospital, or work. He is skilled at handling all facets of a successful injury claim, from proving liability to looking into all possible sources of insurance coverage to dealing with insurers and defense counsel.